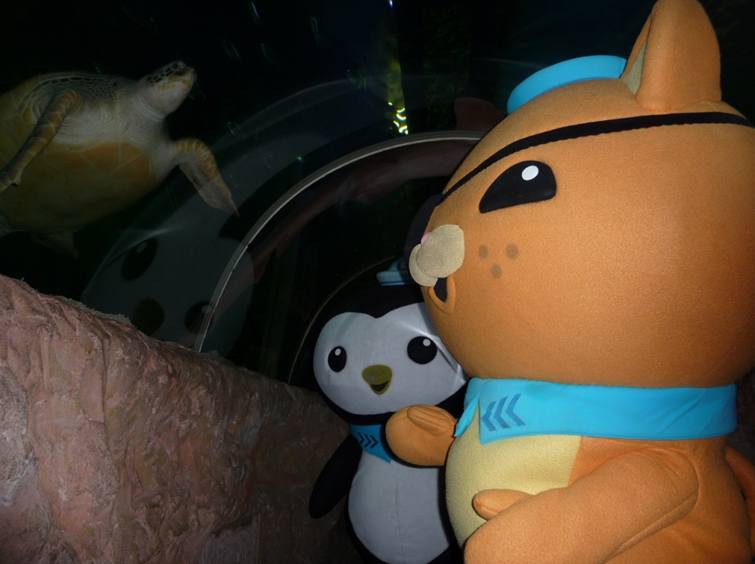 Sea Life Centre Birmingham & The Octonauts! It's no secret that my 5 year old, Oliver, absolutely loves The Octonauts so when we were invited along to see their new Octonauts mission at Sea Life Centre in Birmingham (and be one of the first families in to see it) - we knew it would be worth travelling up. I was excited too, firstly to see Oliver's face at meeting some of the Octonauts after watching about 1000 episodes on tv, playing with the octopod and all the bath toys and secondly to see Isabelle's face at all the fishes she would see for the very first time. What's even better was that Daddy was coming too so it was a proper little family day out. Peso looked right at home next to the penguins, I was very impressed at the fact you could be right next to the penguins with lots of room to have a really good look around. 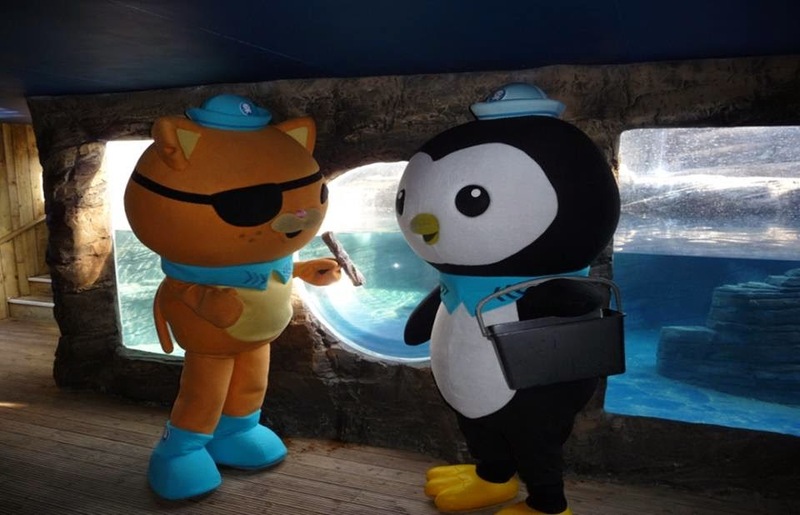 Sea life is an amazing venue for The Octonauts, they fit right in and alot of the fish living at sea life actually feature in the programme at times which is great for showing children them in person! I love the programme because I feel it actually teaches our children alot about sea creatures and how we need to look after them. One of Oliver's favourite things was to have the chance to get closer to some of the creatures living at Sealife in the touch pool, there is; crabs, starfish and sea anemones for example. If you're going to go (which I highly reccommend) then I suggest arriving early as later in the day it gets very busy in Sea Life Centre, it's nice being one of the first in there with more room to move about especially with little people. I'd advise checking the website for times of the character appearances. 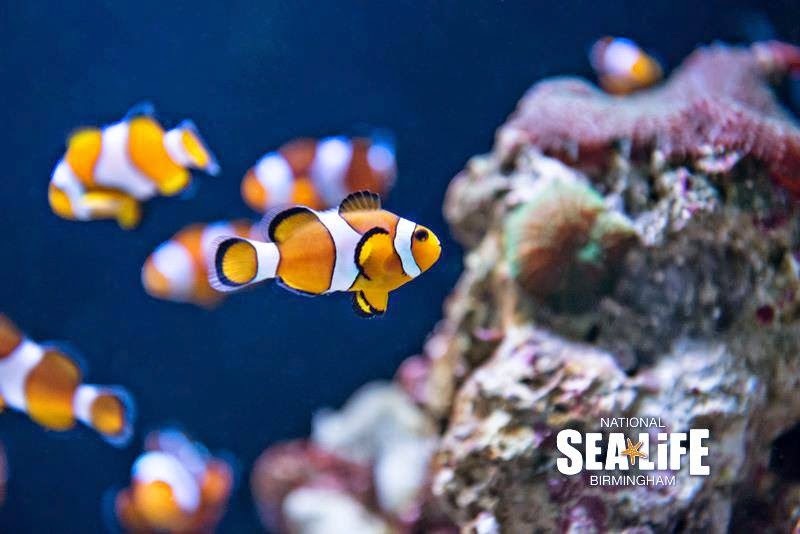 Sea life is a fantastic day out for children, the penguins, sharks and seahorses are always Oliver's favourite along with obviously Clown Fish thanks to Nemo! Isabelle loved the colour changing with the jellyfish, she couldn't take her eyes off of them. Oliver: Meeting Peso and Kwazzi, although he wanted to Captain Barnacles too! Mummy: A sealife member of staff gave a talk near the sharks and I found it fascinating. I can't remember his name but I want to say Josh or Jake or something with a J?! He was very good and even Michael (who is clued up on fish things!) learnt something. Daddy: The fish, actually he's now getting a new fish tank! 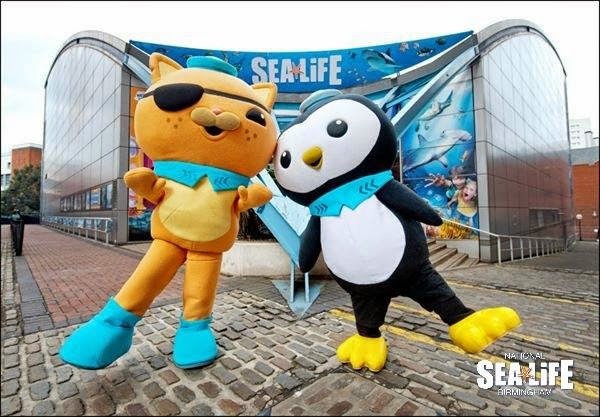 The Octonauts will be at Sea Life Centre Birmingham from Saturday 11th October 2014 until Sunday 30th November 2014 so be quick if you'd like to see them! We had a fantastic time at Sea Life and can't wait until we visit again! please note that we were invited to the launch of this but all of the opinions are my own.